The quintessential action-fantasy Pinoy flick that appeals to all ages, from generation to generation. This movie is a major milestone for Vilma because it proved that she could really carry a solo movie and bring in the dough (up to now of course!). Vilma’s Darna franchise is the most memorable and successful of all Pinoy fantasy-action genres. 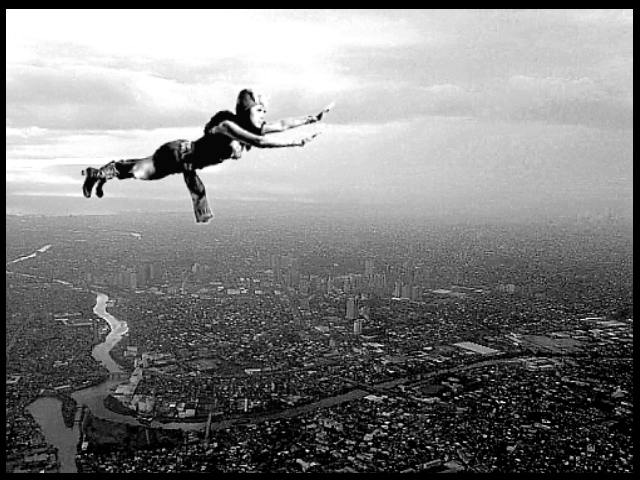 Imitated but never equalled, Vilma’s Darna lives on. Unforgettable. Memorable. It grows on you. No Pinoy kid ever grows up without being a part of the Darna magic. 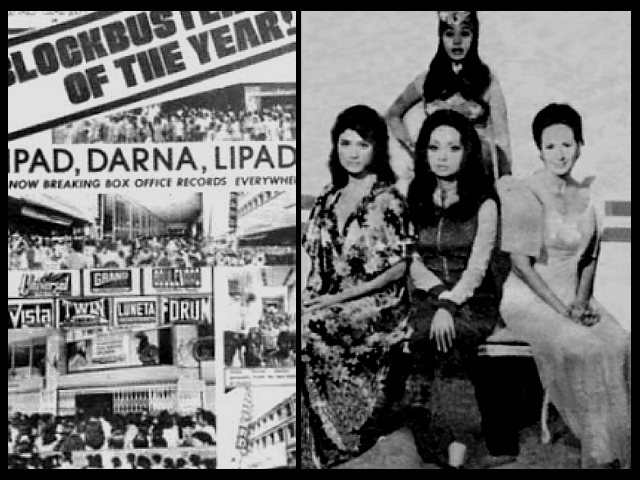 The enormous success of Lipad, Darna, and Lipad led to three more Darna movies with Vilma Santos. As a result, the star for all seasons became the star for all Darnas—Santos played her four times, more than any other actress in the super heroine’s history. Lipad, Darna, Lipad! were thus divided into three separate segments, directed by three different directors. In Darna’s case, the three directors were Maning Borlaza, Joey Goesiengfao, and Elwood Perez—three names that promised an adventure that could do Andy Warhol proud. First episode: “Ang Impakta” (Vampire Woman) – Starring Gloria Romero as Miss Luna, Narda’s school teacher who has a dark secret. She is actually a flying blood sucking creature at night. In this thrilling episode she knows the secret identity of Narda. The most memorable part was when Ms. Luna asked Narda to help her with some paper works. Little that she know, while she was busy checking the papers Ms. Luna excused herself, she then went to the next room and transformed into a scary vampire. Ding found out that Ms. Luna is the vampire and Narda forgot to bring the magical stone , he rushed to her sister who then was being strugled by the monster. As soon as he got there, he threw the stone to her much terrified sister and she immediately changed to Darna. Followed was the famous aerial fight scene. Nanette Medved and Bing Loyzaga tried to copy the infamous fight scene in 1990 Viva films Darna. Episode one was directed by Maning Borlaza. Second episode: “Valentina” (Snake Woman) – Vilma also had to battle with Celia Rodriguez, who played a campy Valentina, a supermodel by day and a snake priestess by night. One scene has the actress naked in bed being caressed by a dozen snakes. Indeed, with the likes of Gosiengfao, Perez, and Borlaza at the helm, Darna is sure to get stuck in grotesque situations reminiscent of the Rocky Horror Movie. Their take on Darna is sometimes too risqué and violent for little children; but as a camp fest, the movie works. In this episode Valentina, tried to steal Narda’s magical stone. Also, there was a scene where Valentina dressed up as Darna. I love the exciting part where Darna and Valentina battled on top of a high rise building. Darna, was almost a no match to her mortal enemy. Dangerously armed with lazer beams coming out from Valentina’s eyes, Darna was helpless and knocked down several times. Until, she stumbled upon into a piece of broken mirror and used it as a shield againts Valentina’s deadly lazer beams. Darna quickly made her looked in the mirror. Her lazer beams bounced back and she turned into a stone. From the roof, Valentina fell hard on the ground and broked into shattered pieces. Anjanette Abayarri and Cherrie Gil almost did the same scene in ” Darna, Ang Pagbabalik ! ” Second Episode was directed by Elwood Perez. Vilma Santos with co stars Ernie Garcia and Celia Rodriguez as Dr. Valentina Vrandakapoor, Phd in reptilian zoology from the University of new Delhi. Not to be overlooked is Darna’s arch-rival Valentina. Celia Rodriguez breathed new life to the term antagonist with her classy portrayal of the serpent-haired villainess. Rodriguez set a new standard by which evil women are to be judged. This entry was posted in ARTICLES, FILM REVIEW and tagged Celia Rodriguez, Elwood Perez, Emmanuel H. Borlaza, FILM REVIEW, Gloria Romero, Joey Gosiengfiao, Liza Lorena, philippine movies, Vilma Santos, Vilma Tuazon. Bookmark the permalink.